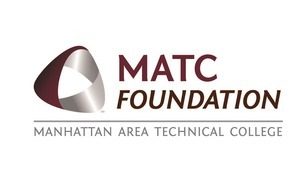 The Manhattan Area Technical College Foundation supports the institutional goal of providing adequate resources to accomplish the role, scope, and mission of the institution. The Foundation provides leadership to initiatives that support the college in meeting the needs of its service area, expands awareness of the college, and secures external funding from the private and public sector to enhance program development, increase student opportunities, and advance the mission, vision, and purposes of MATC. *The MATC Foundation was incorporated in 2006 to promote private support of the College. It is a 501(c)3 non-profit entity and contributions to the Foundation are tax deductible. The Foundation is governed by a volunteer board of trustees, representative of citizens and businesses throughout the college's service area. The MATC Foundation serves the entire service area with membership opportunities from all six counties: Clay, Dickinson, Geary, Marshall, Pottawatomie, and Riley.